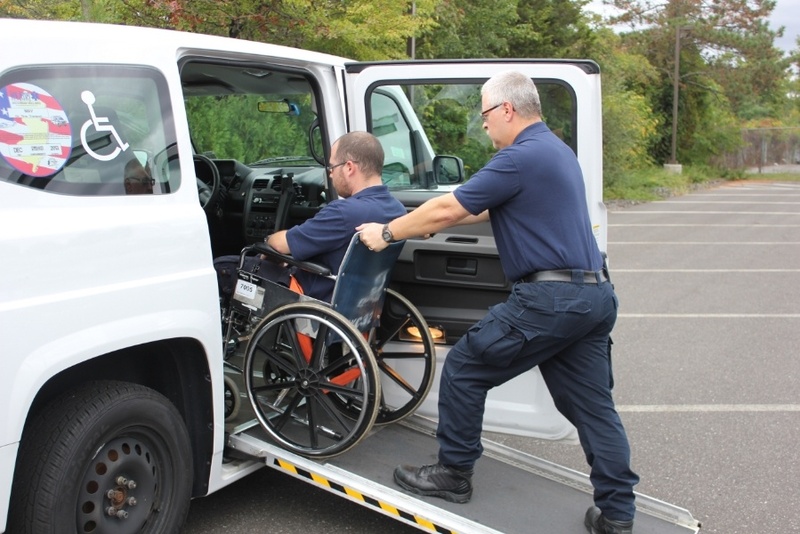 For the safety and comfort of our wheelchair bound patients, all of our wheelchair vans have hydraulic lifts, raised roofs, and a five-point restraint system. All drivers are Mobility Assistance Vehicle Operators (MAVOs) certified in CPR and oxygen administration. Our medical cars transport physically and mentally challenged patients who are ambulatory but require assistance and/or supervision to and from their appointments. 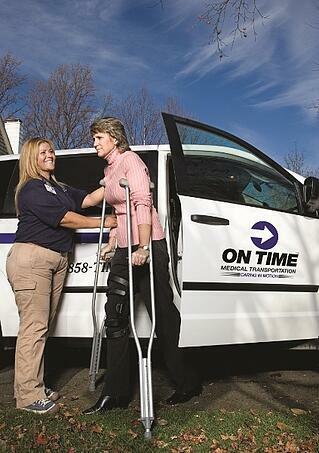 They are perfect for transportation to same-day surgeries and other outpatient procedures. All MAVO drivers are certified in CPR, mobility assistance vehicle techniques, and oxygen administration. In addition, our entire staff undergoes a criminal background check and drug screenings. 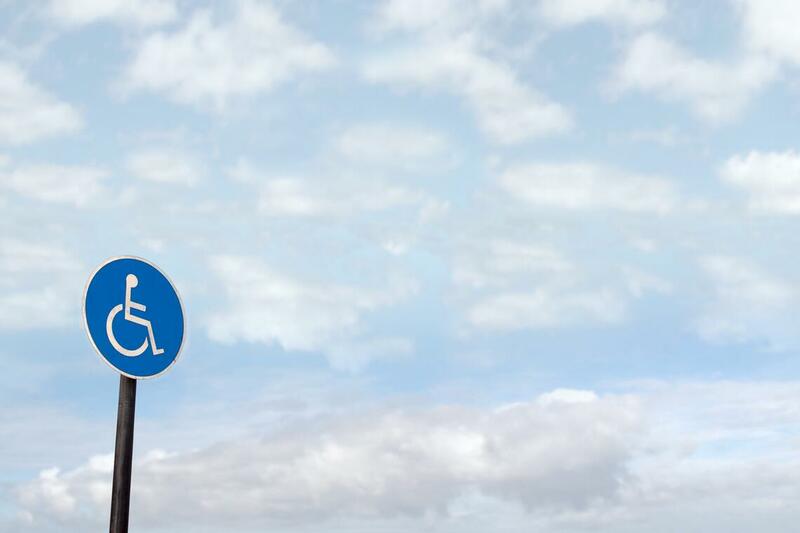 If you have Medicare, you should know that unfortunately, Medicare does NOT cover wheelchair van and medical car services, even if the service has been deemed medically necessary. If you have Medicaid, your coverage may grant you access to wheelchair van and medical car transportation for discharges from the hospital home or to a skilled nursing facility and also from your residence to a doctor’s office, hospital, wound care, or dialysis treatment. If you have private insurance, you should call the 800 number on the back of your insurance card and speak to a customer service representative to make sure that your trip will be covered under your specific plan. 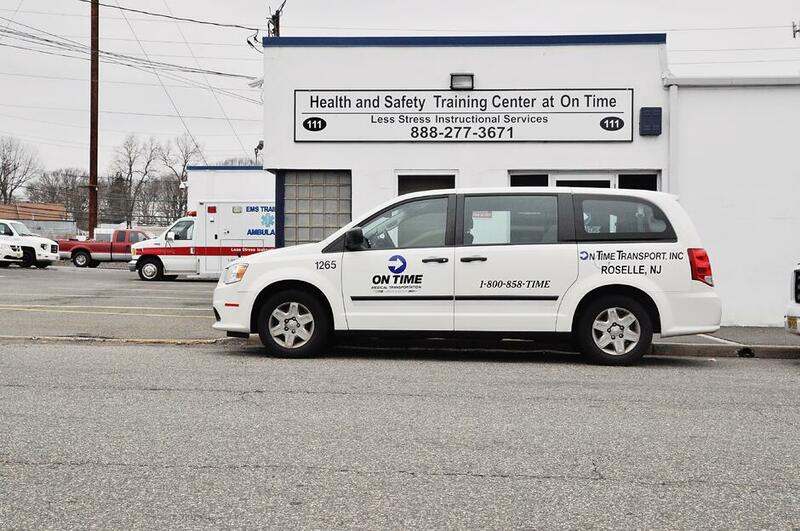 On Time Transport participates in the following insurance networks: Aetna, Americhoice, AmeriHealth, Bravo Health, CHN, Cigna, First MCO, First Trenton Indemnity, HealthNet, Horizon Blue Cross Blue Shield of NJ, Liberty Mutual, MagnaCare, Multiplan, NJ Manufacturer’s, Oxford Healthcare, Three Rivers Provider Network, and United Healthcare. To schedule a trip, contact our customer care specialists at (908) 298 9500, or use our online scheduling form. We prefer to have at least 24 hour advanced notice, but we are often able to accommodate last-minute requests. If you'd like to cancel a scheduled trip, please notify us at least 24 hours before the scheduled pick-up time. Our headquarters is always open so you can schedule any time, day or night.